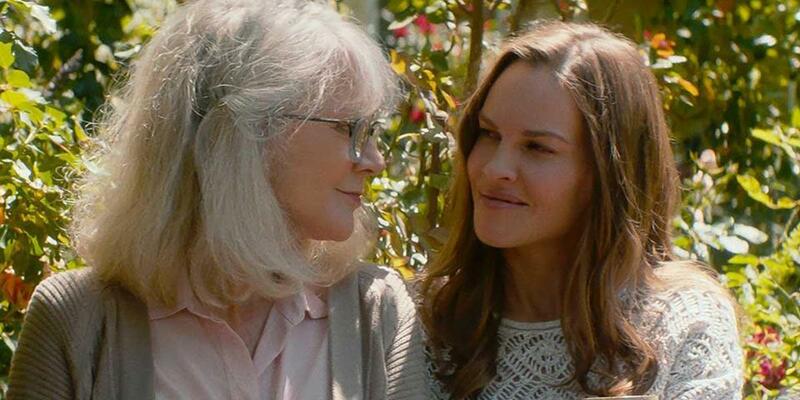 Boston Women’s Film Festival screenings include “What They Had,” starring with Blythe Danner and Hilary Swank. Three established figures on the local film scene — James Nadeau, former executive director of Wicked Queer: The Boston LGBT Film Festival; Ivy Moylan, executive director of the Brattle Theatre; and Jo-Ann Graziano, who teaches media studies at MIT — joined forces to launch the inaugural Boston Women’s Film Festival. It runs Sept 27-30 at the Brattle and the Museum of Fine Arts. Graziano, the festival’s executive director, says the event was “conceived as an opportunity to champion talent that has too often been under-represented.” The festival will present nine narrative films, seven documentaries, and two revivals. It’s been 15 years since Boston had a film festival devoted to films made by women. The Boston International Festival of Women’s Cinema, founded in 1993 by then-Brattle Theatre owners Connie White and Marianne Lampke, along with Anne Marie Stein of the Boston Film/Video Foundation, ran for 11 years, until 2003. The Brattle lineup opens Sept. 27 with the New England premiere of director Laura Steinel’s “Family,” starring Taylor Schilling as a workaholic whose life is upended when her awkward 12-year-old niece (Bryn Vale) is placed in her care. Other highlights include Nia DaCosta’s “Little Woods” (Sept. 28), a gritty neo-western drama set in economically ravaged North Dakota, starring Tessa Thompson and Lily James as sisters struggling to survive their dire circumstances. “Dead Pigs” (Sept. 30) is a black comedy from Chinese-American writer-director Cathy Yan that follows five disparate characters whose lives intersect in rapidly changing Shanghai. In “Wild Nights With Emily” (Sept. 30), writer-director Madeleine Olnek offers a saucy depiction of Emily Dickinson (Molly Shannon) that’s far from the reclusive spinster of legend, as the poet revels in a secret romance with her lifelong friend and eventual sister-in-law, Susan Gilbert (Susan Ziegler), the subject of many of her poems. At the MFA, highlights include Rungano Nyoni’s debut feature, “I Am Not a Witch” (Sept. 29). It’s a surreal parable set in present-day Zambia about a 9-year-old girl (Margaret Mulubwa) accused of witchcraft who’s sent to a “witch camp.” “Daisies” (Sept. 30), a 1966 film from Czech director Vera Chytilová, is an absurdist farce that charts the exploits of two unconventional young women. Widely considered a classic of feminist cinema, it will screen in a new 35mm print. First-time writer-director Elizabeth Chomko’s “What They Had,” which screened at this year’s Sundance Film Festival and, more recently, at the Toronto International Film Festival, closes the MFA program on Sept. 30. It’s a family drama about two siblings (Hilary Swank and Michael Shannon) who must deal with a mother (Blythe Danner) battling Alzheimer’s disease and their father (Robert Forster), who is slowly losing the love of his life.